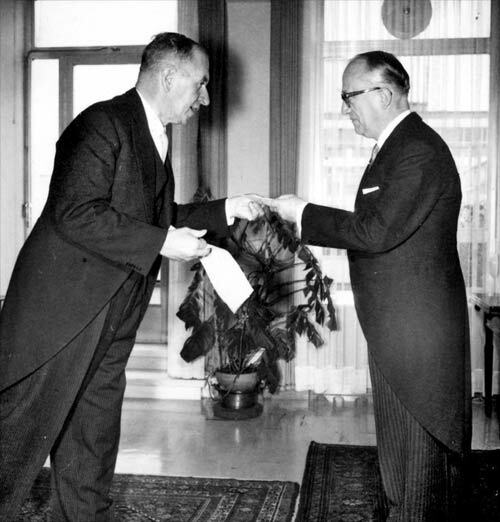 Thomas Macdonald (left), head of New Zealand's mission to the European Economic Community (EEC), presents his credentials to Walter Hallstein, president of the EEC Commission, at Brussels, Belgium, in July 1961. Macdonald was then also New Zealand's high commissioner to the UK. In both diplomatic posts his main concern was to safeguard New Zealand's export markets in Europe if Britain joined the EEC.